Photo courtesy IPFW IPFW junior Tony Price, a Woodlan graduate, didn't start playing volleyball until his sophomore year of high school. 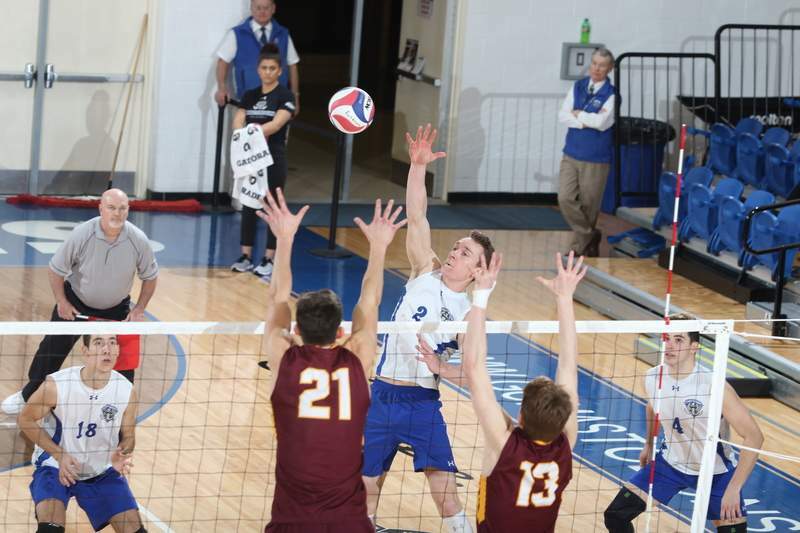 Photo courtesy IPFW Junior Max Hansen, a Carroll graduate, is one of two local players on the IPFW men’s volleyball roster, a rarity in the program. 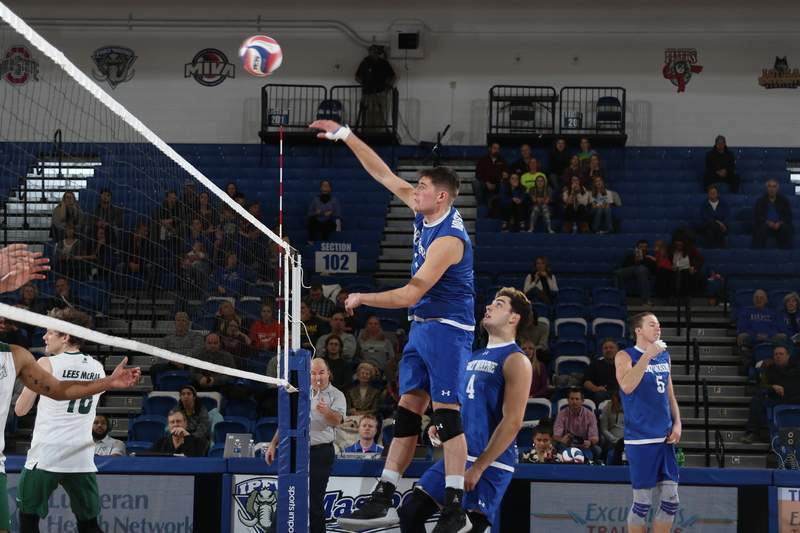 IPFW men's volleyball players Tony Price and Max Hansen make up a unique demographic for the Mastodons: They are Fort Wayne natives. The Indiana High School Athletic Association does not sponsor boys volleyball, so the development of players in the state is through club teams. Price, a redshirt junior outside hitter, was an underdog compared with his teammates who grew up playing the sport. Hansen's story is similar in that family connections brought him to the sport through the Fort Wayne Volleyball Club. The stories differ in that Hansen, a junior middleblocker, didn't make volleyball a priority when choosing a school, but the fact that the right connections, the right major and the right location just made it a perfect fit. “I wasn't really looking to play in college,” the Carroll graduate said. “If I did, great. If not, I wasn't going to make a big deal about it. Starting so late, I felt like girls here start middle school maybe elementary school. I didn't start until later in middle school. I ended up having a good relationship with (Gebert) and ended up talking with (former coach) Arnie (Ball) a little bit and placed myself here. The two are the first locals on the roster since Nate Berg, a Bishop Dwenger graduate, was on the team from 2007 to 2009. “It's very rare to have somebody like that, let alone two at the same time with Max and Tony,” coach Ryan Perrotte said. “I think it's great. I think a lot of the fans locally know them because of their high school connections here. It's great to have them come out and support not only Tony and Max but our team.